OK… so I do love to argue. What know-it-all contractor doesn’t? However, my disposition towards disagreement isn’t the kind of argument this post’s title refers to. The argument I refer to is that of “a statement, reason, or fact for or against a point”. The argument I refer to is the same one you endure for 15 out of every 60 televised minutes – namely, the argument to buy whatever it is they’re selling. Of course they, whoever they are, try not to be too obvious about it. But no matter how cleverly they package the commercial, you still know they’re selling you something. Or do you? When it comes to the tune-up special, you may not. You may think you’re getting your old furnace tuned up when, in fact, you’re watching a program-length commercial an hour long argument for buying a new furnace. …and one on the upstairs furnace. 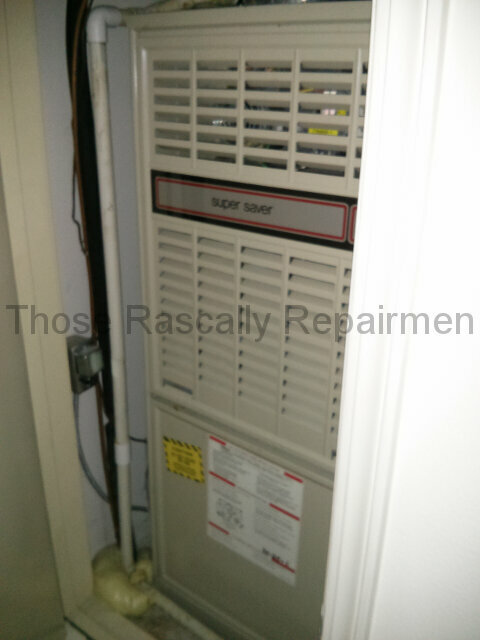 The homeowner had the tune-ups performed because the downstairs furnace was acting up. 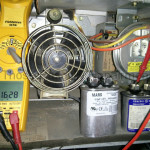 Muridae’s repairman diagnosed a failing circuit board and a weak capacitor. The circuit board was turning the blower on when it wasn’t supposed to. 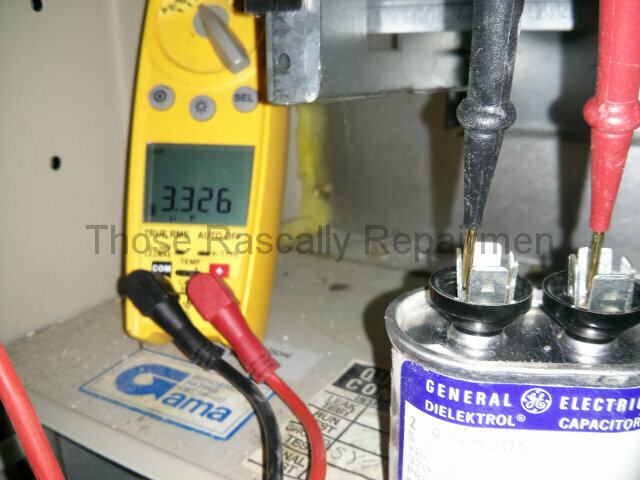 And as pictured below (click it to enlarge), the 5.0 microfarad capacitor was only putting out 1.6 microfarads. They quoted nearly $1000 to replace the circuit board and capacitor. (Those parts cost $65 wholesale and it takes an hour to replace them.) 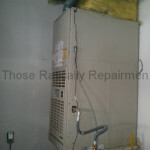 Most contractors will tell you that spending a thousand dollars on a very old furnace is a waste of money. They might be right. So as noted on the invoice below, they scheduled an appointment to give the homeowner an estimate for a new downstairs furnace. The estimate got cancelled because the commercial, that is to say, the tune-up was just a little too loud. The homeowner then called me for a commercial-free second opinion. I found that Muridae’s diagnosis of the downstairs furnace was correct. I also found that their assessment of the upstairs furnace was not. Their invoice says “all checks OK” with the upstairs furnace. 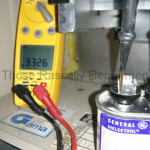 But in fact its 5 microfarad capacitor was down to 3.3 microfarads. I also found that the upstairs furnace filter was not properly secured. As you can see on the left side of the picture, the bar that holds the filter down was loose. 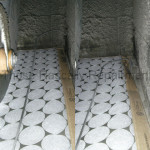 That allowed the filter to lift up when the blower turned on, thereby allowing unfiltered air to enter the furnace. 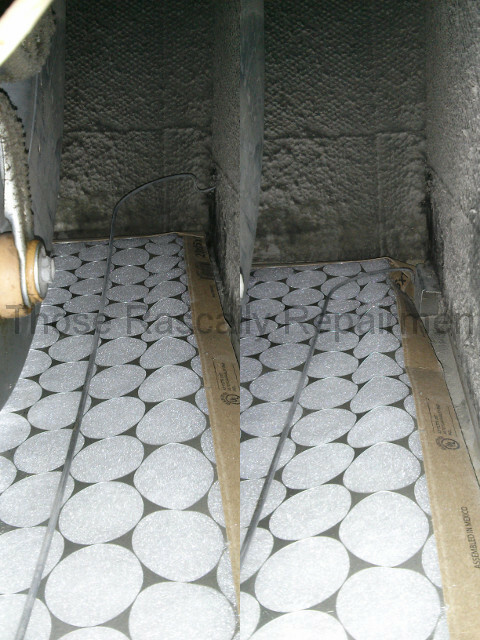 The right side of the picture shows the filter properly held down. Additionally, I found a loose wire in the downstairs furnace. Look closely at the picture below. Compare the red, black and white wires. As you’ll see, the red wire was not fully inserted into its outlet. 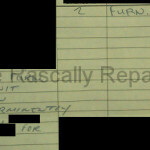 Quoting nearly $1,000 for repairs (that I quoted $400 for) is one way of convincing the homeowner it’s time to replace the furnace. 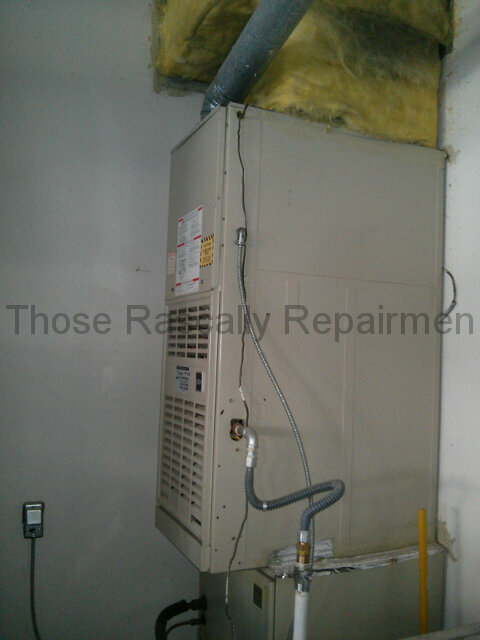 Pushing the homeowner to replace the second furnace when he’s reeling from the cost of replacing the first might have jinxed the sale of the first. Had the homeowner delayed buying a new furnace, and had the loose wire later manifested into a third problem, that would’ve been another check-mark in the replace column. 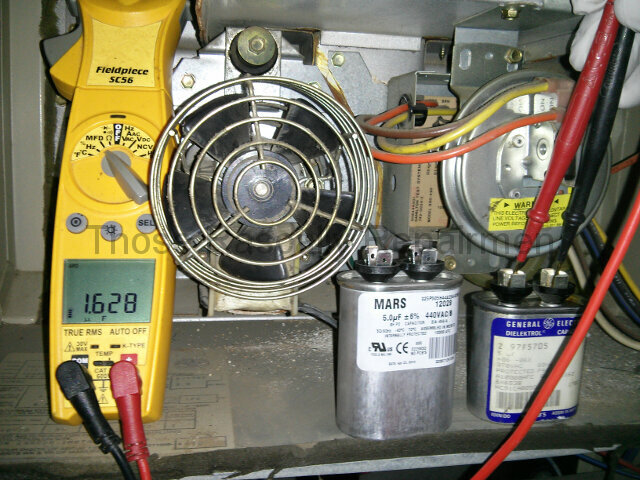 Calling out the upstairs capacitor does nothing to help sell the downstairs furnace. 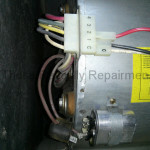 But ignoring it does hasten the failure of the upstairs blower motor. 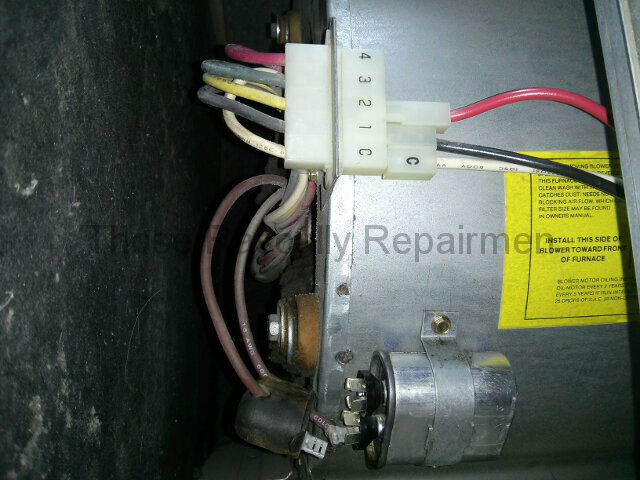 A failed motor could’ve become part of a future argument to replace the upstairs furnace. 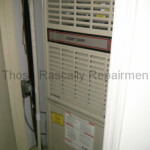 Properly securing the upstairs filter also does nothing to help sell the downstairs furnace. But an increasingly dirty upstairs furnace might have also become part of a future argument to replace the upstairs furnace. One might argue that their mistakes with the upstairs furnace’s filter and capacitor and the downstairs furnace’s loose wire were not intentional. That’s awfully nice, but awfully unlikely. I just don’t think they “accidentally” failed to take care of three things that are part and parcel of a tune-up. I do think that, kind of like me, they’re know-it-all contractors that love to argue. But in their case their love of argument is the love of sales. And in that they are indeed all-knowing.